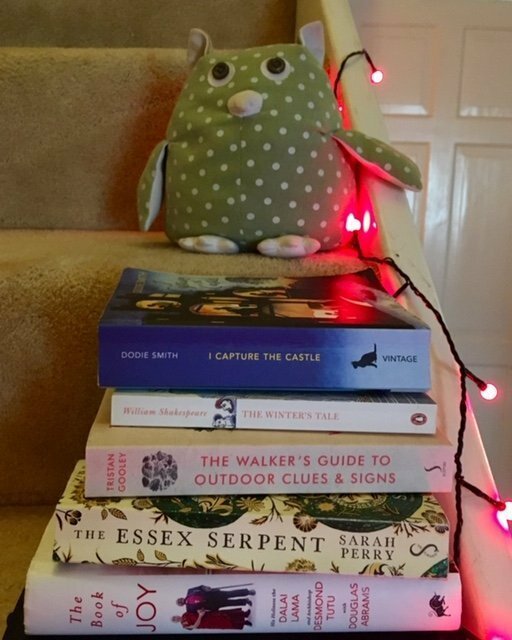 I close the year as I start it, blogging about books. It seems fitting to come full circle (bookending the year, if you will) because I haven’t really got anywhere in 2018. I mean, I’ve gone lots of places, seeking out adventures to obscure trig points and the quiet corners of nowhere in particular, but everything’s pretty much the same as it was on January 1. The coming year will bring more health tests but possibly yield no results. I’m still single (although at least here too there have been some happy adventures – also to obscure trigs and in quiet corners, funnily). The teen-in-training’s training is very nearly complete and Lionel still points his pointy nose snootily away from stiles. And books remain beautiful. Yes, I know I’ve mentioned this one, but the lovely thing about being a writer is that you can plagiarise yourself and no one sues. Reaching the not altogether happy – yet extremely satisfying – ending, I realise what it is about this book that really digs under my skin. Opening in March and ending in October, Dodi Smith’s classic charts all my favourite months and evokes them sharply, heightening my bleak-midwinter longing for May, midsummer and the promise of autumn before she turns up her collar with chilly fingers. Curl up in a chair and read yourself warm. A wintry tale swirling with mist and mystery, Sarah Perry’s bestseller plays itself out between 1890s’ London and the marshes of the Blackwater estuary, where a terrifying creature is said to lurk. Heroine Cora Seaborne is a feminist for modern times, quietly un-stricken with grief at the death of her awful husband and striding about the marshes in mannish clothing, looking for fossils. With crisply-drawn characters, a quick pace and Wilkie Collins-esque tension, you’ll want to draw your curtains around you if reading after dark. Anyone who read 2018 ways to be happy a year ago (still there, Mum?) will remember this one. You know how books, when finished, usually go back on the shelf (like me, yes, thank you. Sighs)? Not this one, not a chance. Although I very much wobble on the fence of uncertainty between religion and atheism, this is my new Bible, permanently on my bedside table and regularly picked up. I recently had the loveliest compliment from someone who couldn’t imagine me being unkind to anyone; the shamefaced truth is I can be a cowbag to rival the best of them, I really can, but all I can do is keep reading this book and trying. After all, growth starts in the lowest places, says the Dalai Lama, and he’s very kind indeed. A birthday gift from the same wonderful friend who bought me The Book of Joy (although I’m starting to suspect she’s not such a friend after all; first she wants me to cheer up and now she tells me to take a long hike). Now, I can read a map well enough to know that jam-packed-together orange lines mean ‘WALK THE OTHER WAY, SHARPISH’, but I actually have no idea about lichen, or algae, or the stars and what they all mean. But Countryfile magazine promises I will never again look at our beautiful countryside in quite the same way after reading The Walker’s Guide; cue random facts coming right atcha this spring, navigation fans! Last read in 1992 as a warm-up before the joy-fest that is A-level King Lear, this tragicomedy is one I’ve been surprised into contemplating a return to, in the wake of discovering I have a teen old enough to study Shakespeare (hey Jacqueline Wilson, where d’ya go?). From memory, it follows the usual Shakespearean plotline of a man thinking women are awful and going about being very punishing and jealous. I think there are some disguises in there too. If I start now, by the time I’ve worked out what the heck’s going on it will be the spring equinox, and I can climb a nice mountain. Some books find us, don’t they? 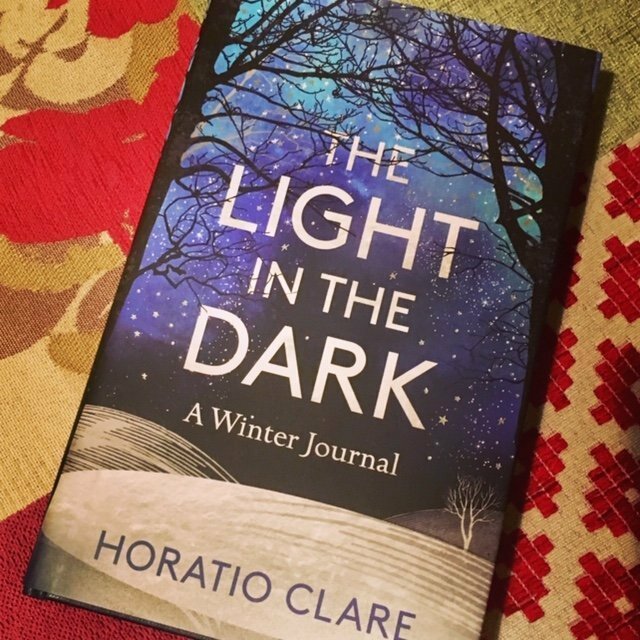 This one stood up in Waterstones like a clarion call; Horatio Clare’s journal of struggling through winter in search of the light. Entering into piercing detail about murdered sheep, childbirth and seasonal depression, it’s heartbreakingly life and death affirming, with soaring descriptions of landscape and migrating birds. I’m possibly a little biased as lots of it is set in Wales, but when you read lines like ‘Mountains make sense in any weather,’ you can only think yes, they do, and so does this beautiful book. I have just read A man called Ove by Frederick Backman, recommended by a friend. It is fantastic, funny, warm, tragic but life affirming. Thanks Keith, I’ll look out for it! And one I was given for Christmas is The Mystery of the Yellow Room, by Gaston Leroux, which is said to have inspired Christie. That pile on the end of my bed is growing by the day! Happy new year to you too.